The river’s two basins are working on separate plans to manage the risks posed by dwindling water supplies. The Upper Basin — comprised of Colorado, Wyoming, Utah and New Mexico — is focused on protecting water levels within Lake Powell. The reservoir is 45 feet lower now than it was in October 2010. It’s projected to fall another 15 feet in the next year. Powell acts as the Upper Basin’s savings account, and water managers in those states say the water it holds keeps them compliant with a 1922 agreement that divvied up the river’s water and promised a certain amount to downstream users. Violating that agreement could spark a decades-long legal battle among government agencies throughout the basin. In the Lower Basin states of Arizona, California and Nevada, the problem is overuse. Essentially, more water exists on paper than in the river itself. That supply-demand gap is causing the country’s biggest reservoir, Lake Mead near Las Vegas, to drop too, increasing the likelihood of a federal water shortage declaration at the start of 2020. 1. 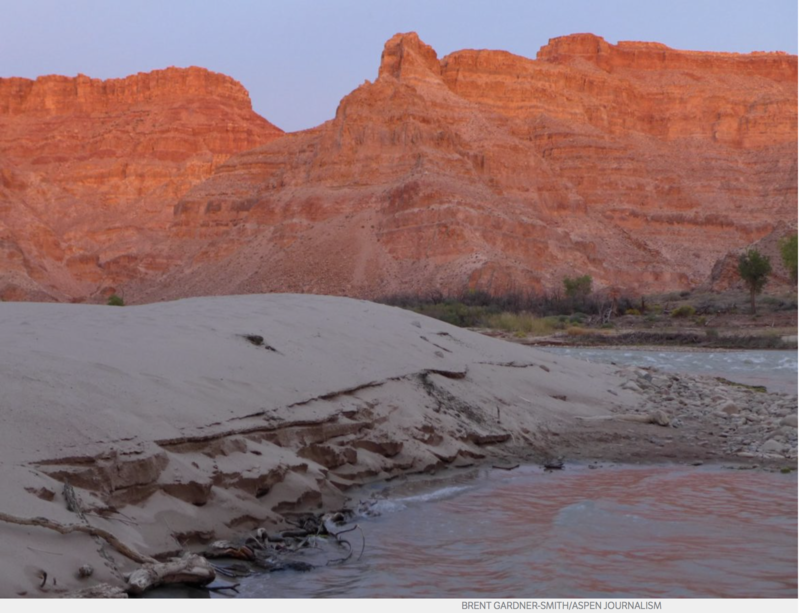 Will the Upper Basin create a protected pool in Lake Powell? 2. Will Arizona capitalize on California’s offer to cut back? 3. What effect will Mother Nature, federal officials have? Whether these plans move from draft proposals to signed agreements is still uncertain. Outside forces could either speed up or derail the ongoing negotiations. In August, U.S. Bureau of Reclamation commissioner Brenda Burman gave the seven basin states an end of year deadline to finish their Drought Contingency Plans. Mexico has already agreed to cutbacks, but only if the Lower Basin states finish and sign their plan. Arizona is the sole basin state that requires state legislative approval before it can officially sign a deal, and there are currently no plans for a special session before the end of the year. Federal officials could give some leeway to that end of year deadline as long as states can show progress is being made. State officials in the West are adamant they don’t want the federal government steering the ship when it comes to Colorado River governance, and the threat of interference could be enough to get the plans over the finish line. Another pressure point is the weather. It was the unprecedented dry conditions that forced water managers to the table to come up with the 2007 guidelines, and then again to form the Drought Contingency Plans. The 2018 water year — from Oct. 1 2017 to Sept. 30 2018 — wrapped up as one of the driest on record for the entire Colorado River Basin. If the El Nino weather pattern currently taking shape in the Pacific Ocean fails to pummel the southern Rocky Mountains with wintry storms, expect the heat to get turned up even more to get these agreements done. 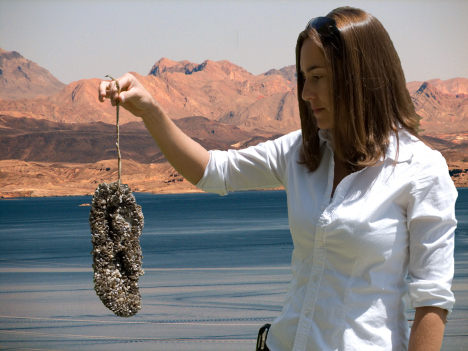 Bureau of Reclamation Commissioner Brenda Burman announced today that Reclamation has selected three submissions for its prize competition seeking ideas to eradicate mussels in open water. Steven Suhr and Marie-Claude Senut will receive a full award of $80,000 for their idea while Wen Chen and Absar Alum with Stephanie Bone will each receive $10,000. The prize competition was a theoretical challenge and sought innovative solutions to eradicate invasive quagga and zebra mussels from large reservoirs, lakes and rivers in a cost-effective and environmentally sound manner. Invasive mussel infestations pose a significant logistical and economic challenge for local communities, recreationists and water managers. There is no practical method available today for the large-scale control of invasive dreissenid mussel population once they become established. Steven Suhr and Marie-Claude Senut, founders of Biomilab, LLC, proposed using genomic modification to induce a lethal malignant hemic neoplasia in mussels that can be transferred from one mussel to another by proximity. They suggested utilizing the CRISPR/cas9-mediated genome modification to target the function or expression of endogenous dreissenid mussel p53 or telomerase reverse transcriptase genes, or to introduce the viral SV40 Tag gene. This submission for the prize competition received $80,000. Wen Chen, a research scientist at Harvard Medical School, proposed utilizing single stranded DNA/RNA oligonucleotide-based aptamers to target the modified amino acid 3,4 dihydroxyphenylalanine (DOPA) or dreissenid specific foot proteins to interrupt attachment, eventually leading to mussel mortality. The use of aptamers to target DOPA and foot proteins to interrupt mussel settlement is a novel idea and received $10,000. Absar Alum of BioDetek with Stephanie Bone proposed genome modification to develop male mussels that produce sperm containing a light triggered optogenetic switch to drive upregulation or downregulation of cyclin-b expression resulting in death of the fertilized egg. This strategy relies on sunlight penetration into the upper portions of a water body to turn on the optogenetic switch in free-floating, transparent developing eggs and embryos. It was found to be a novel idea and received $10,000. A total of 238 solvers signed up to solve this challenge and more than 100 solvers submitted solutions. Of those solutions submitted, 67 were deemed viable and were judged. Reclamation collaborated with the U.S. Geological Survey, the U.S. Army Corps of Engineers, and Molloy & Associates on this prize competition. To learn more about this prize competition please visit https://www.usbr.gov/research/challenges/mussels.html. The results of this prize competition will support a broader effort by the federal government, as well as work by the Western Governors’ Association, western states, and tribes to protect western ecosystems, water infrastructure and hydroelectric facilities from invasive mussels. To learn more, please visit https://www.usbr.gov/mussels. Yes, there is still lots of ice in Antarctica, but it’s melting faster than ever. bberwyn photo. In 2018, the idea that we need a special holiday to be scared feels a little strange. Zombies, vampires, and werewolves don’t seem so frightening when the real world provides us with Vladimir Putin, white supremacists, and greenhouse gas emissions. And trust me, as a climate scientist, I’m frightened every day. Watching our best projections of future climate is like watching a horror movie you can’t walk out of. And the worst part is the willful ignorance of the characters. I mean, who could be so stupid as to walk straight into a house they know is haunted? We know a little bit about the horrors that await us in the climate haunted house—we did, after all, build it ourselves. Walk in to the entrance. Above the door is that most frightening of instruments—but not just any thermometer. This one is wrapped with a wet washcloth. It’s measuring something called the “wet bulb” temperature: a combination of heat and humidity—a quantity that’s predicted to rise dramatically as the climate changes. When the wet bulb temperature gets too high, it restricts the human body’s ability to cool itself off by sweating. When it exceeds about 80°F, people working outside run the risk of dangerous overheating. When it’s higher than 95°, you—even if you are healthy, lying down, and naked in the shade (and why would you not be? )—will be dead in six hours. The hallway teems with rats, some the size of human infants. Climate change, it has been pointed out by skeptics, will be good for some species. And this turns out to be true, just not for humans. The shorter winters mean longer breeding seasons for urban rats, and they’re manifestly enjoying themselves. In these increasingly ideal breeding conditions, two rats can, within three years, turn in to almost half a billion. The hallway leads back to the kitchen. It’s not well-stocked. Climate change has disrupted the food system. Earlier springs mean blooming fruits are more vulnerable to the occasional frost. Summers are longer, hotter, and drier, causing more crop failure. Heavier downpours carry agricultural runoff to already polluted lakes and rivers. But the most horrifying thing here is the refrigerator. Heat stress and drought associated with climate change have reduced global yields of barley and pushed up prices. There is no beer. Off the hallway is the living room, where the TV blares news of war, conflict, and massive refugee movements. It’s made worse by the rise of demagogues who exploit even small-scale adversity by blaming large groups of other people. Why did we think “adaptation” to climate change would mean “carefully considering the facts and making sober, scientifically—informed decisions”? Based on historical precedent, that was always a long shot. Walk through to the bedroom, where you’ll find the greatest horror of all. On the bed lies a person who, at first, looks healthy and serene. But she stares at the ceiling apathetically and does nothing. After walking through the haunted house, she’s too terrified to do anything. She’s never called her representative or senators. She’s never marched or petitioned or organized in her community. She didn’t even vote in the last election. And then you realize: the bedroom is an optical illusion, a hall of mirrors. The person in the bed is you. We don’t have to live in a horror movie. In fact, if we focus only on scary things, we miss the true meaning of Halloween, which is to force small children into humiliating costumes for our amusement. My own toddler insists that he wants to be “a squid that helps people,” which mystifies his parents and reveals a poor understanding of cephalopod biology. But that kind little squid, and his pirate and dragon and pumpkin and monkey friends, are going to grow up to live in the house we build for them. I think we should at least try to chase the demons out first. My parents have a small garlic farm in Western Colorado in the valley of the North Fork of the Gunnison River. They bought the place just over a decade ago, along with a couple of shares of water from the ditch which runs through their property. It’s a nice little plot of rural Colorado with good dirt and nice views, but it wasn’t until this terribly dry summer that they realized how valuable the land is. The Farmers Ditch, diverted from the North Fork near Paonia, has some of the most senior rights in the valley. They are water-rich in an arid world. Since white settlement began here back in the late 1800s, the communities of the North Fork have revolved around coal and agriculture. Three underground coal mines churned away for decades, their bounty loaded upon mile-long trains headed for power plants in the Midwest and beyond. Paonia and the surrounding mesas have long been renowned for fruit, vegetables and, for a time, marijuana. After surging to a peak just over a decade ago, coal began its hasty, nationwide decline, and now only one of three mines in the North Fork is still operating. Meanwhile, small-scale agriculture has taken over as one of the main economic pillars of this idyllic valley: Cherries, peaches, hops and hemp. Agricultural interests also are a strong political force rising up in resistance to proposed oil and gas drilling because of its detrimental effect on the water, which is becoming more and more precious in a warming world. Thanks to the dramatically sere appearance of the natural landscape, the North Fork Valley provides a stark visual reminder of the importance of large-scale irrigation in these parts. A ditch along a hillside becomes a sharp divide between the dry, sparse, dusty dobie-land above the ditch; and green, grassy, cottonwood- and cattail-strewn land below it. This is true even where no active irrigation is taking place; the ditches are generally so leaky that they create artificial wetlands in areas that are distant from fields or crops or lawns. Most of the irrigation water comes from the North Fork, which begins at the confluence of Muddy Creek and Anthracite Creek. Paonia Reservoir sits just above the confluence, on Muddy Creek. Typically the reservoir fills up during the spring and early summer, during which the natural flow in Anthracite Creek is adequate to fill all of the downstream ditches. When Anthracite starts to wane, water is released from the reservoir to keep the ditches flowing, usually into August and sometimes even until late October. In late June or early July the river’s total flow reaches equilibrium with the volume diverted from it, causing the river through Paonia to dry to a tiny, warm trickle that is good for sustaining only crawdads and mosquito larvae. 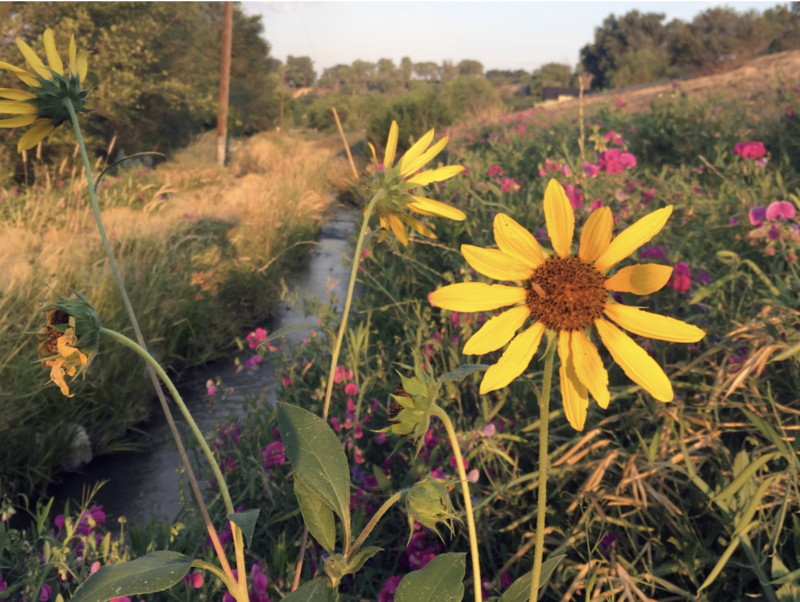 Even more shocking than the annual desiccation of the riverbed is the way in which so many water rights holders continue to pull their maximum share from the ditch, even if it’s not needed, even if they have no crops or even lawn to irrigate. “Use it or lose it,” the saying goes. Meanwhile, only a handful of the small-scale farmers have bothered to install more efficient irrigating systems, and most of the ditches continue to leak like sieves. That may be fine in a time of abundance, but these are times of increasing scarcity. Paonia Reservoir — which gets its water from aptly named Muddy Creek — is filling up with mud. When constructed in 1962, the reservoir had 21,000 acre feet of capacity; today only 14,000 acre feet of capacity remain. So the amount of water available to irrigators is diminishing, even during wet years. But this year was one of the driest on record, which prompted downstream, senior water rights holders to put a “call” on the river in mid-June, at least a month earlier than usual, forcing junior, upstream holders to stop diverting water. By the time August rolled around, all but a few ditches in the North Fork had been shut down or had their flows drastically curtailed. Farmers Ditch, meanwhile, kept running right up to the brim. The farmers of the North Fork Valley make up a fairly tight-knit community. They share seedlings and knowledge, hay balers and tillers, trade garlic for meat. So one would expect them to respond to a water crisis in much the same way, with the haves on Farmers Ditch sharing their bounty with the have-nots whose ditches ran dry. At the very least, you’d expect the haves to cut down on their own water use, even if just out of respect for their less fortunate neighbors. But that’s not how it works in the arcane world of Western water. This summer most of the folks on Farmers Ditch carried on like they would any other year, using up their entire share of water and letting whatever they didn’t use run off across the mesa tops to evaporate and seep into the earth while their dry-ditch neighbors looked on helplessly. I watched one landowner wastefully dump a steady stream of irrigation water on his dusty horse pasture, turning it into a nasty mud bog where only a few thistles grew, while a mile away crops wilted. Wealth-inequality may be the scourge of our nation, but it’s water inequality that will increasingly plague the arid West. The ostentatiously water wealthy are not entirely to blame. I’m confident that most of them would have been happy share their bounty if they could. But there’s no simple mechanism for this kind of cooperation. My parents can’t just turn a valve and send their water across the valley to their fellow farmer. The system wasn’t designed that way. It is the system that needs changing. Fleck’s referring to the macro of the Colorado River Basin here, but it also applies to the micro of irrigation districts everywhere. New rules, new systems, new ways of operating are needed that would incentivize efficiency and that would allow the Farmers Ditches of the world to share with the others in the community who aren’t so fortunate. When it comes to water, though, we Westerners tend to get entrenched in the use-it-or-lose-it culture, which is anathema to cooperation and to efficiency. Still, this is not unsurmountable. When pushed up against the wall, Westerners have become more limber in their approach to water. Take Las Vegas, which has managed to cut per capita water use enough so that it’s been able to grow its population without robbing Great Basin farmers of their groundwater — at least so far. And then there’s another, smaller instance of cooperation that bears mentioning. After the Sunnyside Mine upstream from Silverton, Colorado, shut down in 1991, the owners put a boxcar-sized plug, or bulkhead, into the mine’s main tunnel to keep the 1,600 gallons-per-minute of acid mine drainage from going into the Animas River watershed. Not long afterward, the region suffered through what at the time seemed like a horrible drought, prompting a downstream ditch company to make a call on the Animas River. It’s this sort of out-of-the-box, pragmatic, cooperative thinking that the West is known for, and that has helped many a community transition successfully away from extraction-based economies. Now the warming, drying region is faced with a much bigger, tougher transition, with even higher stakes. 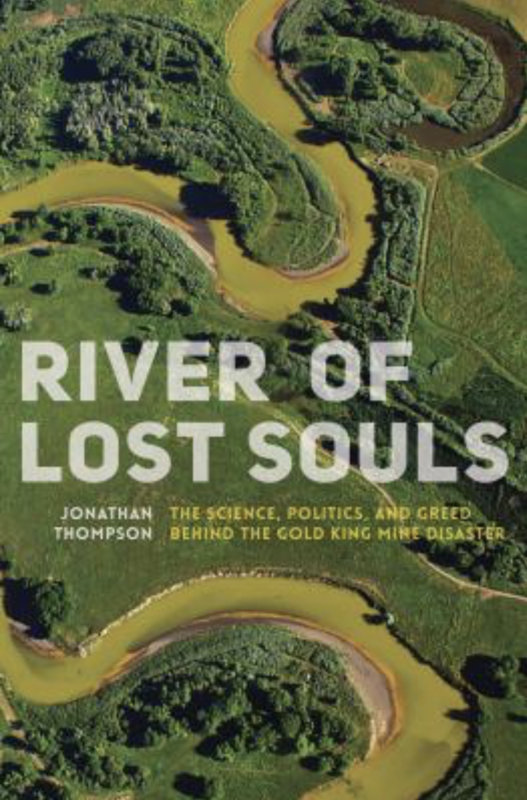 Jonathan P. Thompson is a contributing editor at High Country News and the author of River of Lost Souls: The Science, Politics, and Greed Behind the Gold King Mine Disaster. Get a copy of River of Lost Souls. — Andrew Gulliford, historian and writer, in The Gulch magazine. Western Slope water managers have doubled down on their position that they will oppose federal legislation creating a new regulated pool of water to boost the falling level of Lake Powell unless Colorado adopts a policy that the pool should be filled only on a voluntary basis. Mueller said his district and the Southwestern Water Conservancy District “have to have those guidelines” in order to protect agriculture on the Western Slope, a stance first expressed by both districts in September. In response to the Western Slope’s concerns, a policy on how to fill a new “demand management storage” pool in Lake Powell is being drafted by the staff of the Colorado Water Conservation Board for review by the agency’s directors Nov. 15. “I can’t say with certainty, but I believe that policy will be established and will allay the concerns that we’ve heard,” Steve Anderson, a CWCB board member representing the Gunnison River Basin, said Tuesday at the meeting. But there may be still be a gap between the protections the Western Slope wants and the Front Range’s stance, which is that it may be necessary to fill the proposed pool of water in Lake Powell through mandatory cutbacks in water use if voluntary efforts are not enough. Water managers from Southern California to Wyoming are watching the ongoing debate because if Colorado can’t reach a consensus, an ongoing effort to establish a “drought contingency planning” program could falter. Draft “DCP” agreements are now under review in seven states. They would change the way water is stored in Lake Mead, which primarily affects the lower Colorado River Basin states of California, Arizona and Nevada. In the upper-basin states of Colorado, Utah, Wyoming and New Mexico, the DCP agreements would set up a process to release water from Flaming Gorge, Blue Mesa and Navajo reservoirs, if necessary. The agreements also would create a pool of water in Lake Powell that would be shielded from current regulations that balance water levels in both Lake Powell and Lake Mead. Regional water officials are working hard to gain widespread consensus by Dec. 14 for the DCP agreements in both the upper and lower basins, and given how slow water policy usually moves, it’s a tight timeline. 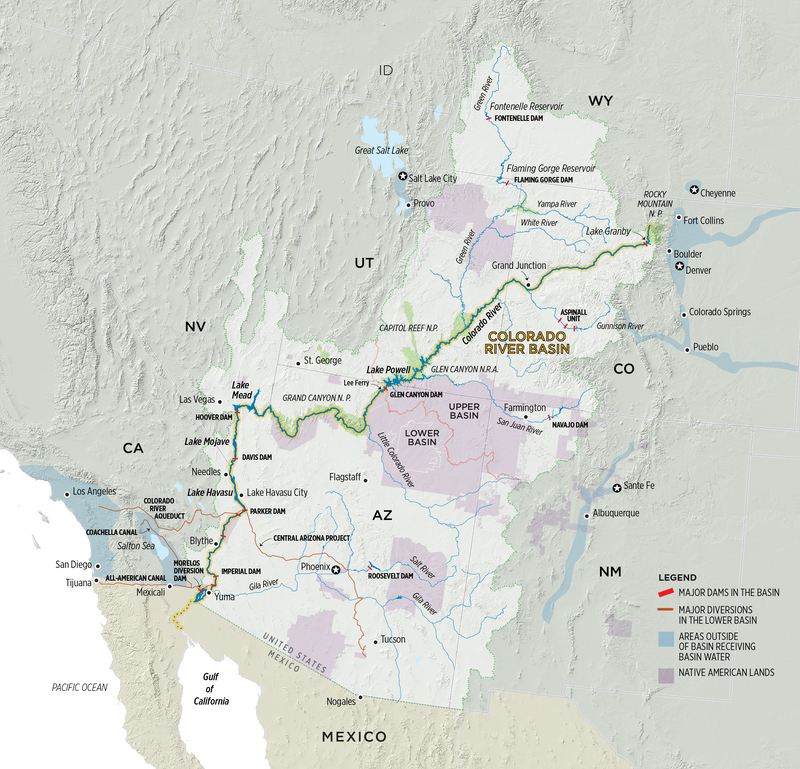 The necessary federal legislation to implement the program may be introduced during the coming lame-duck session in Congress, and any significant opposition to the legislation, such as that from the Colorado River district, could derail the effort. And the differing views between Western Slope and Front Range water managers now appear to be the largest obstacle to gaining consensus in the four upper-basin states. Officials on both the Western Slope and the Front Range do agree on many aspects of demand management storage in Lake Powell, which is designed to keep Glen Canyon Dam both producing hydropower and releasing enough water to meet the requirements of the 1922 Colorado River Compact. 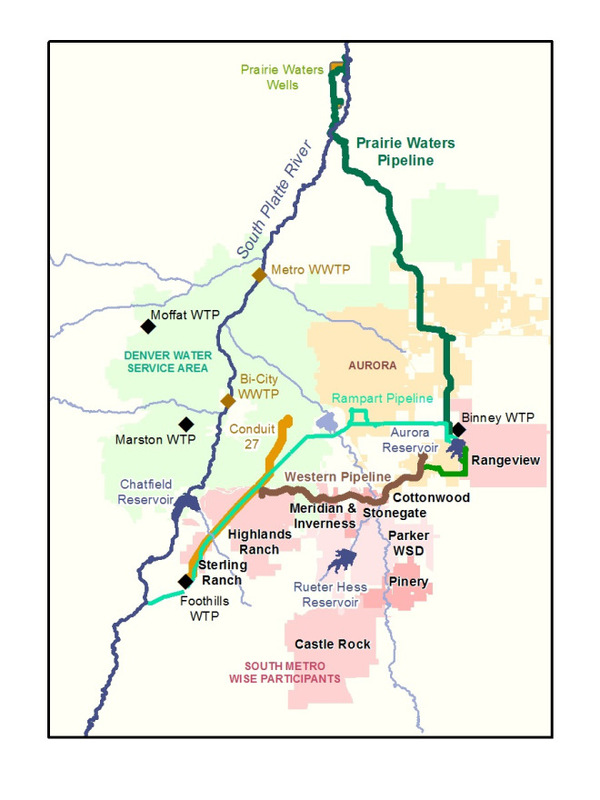 They agree that such a program should include equitable reductions in the use of water from both sides of the Continental Divide. 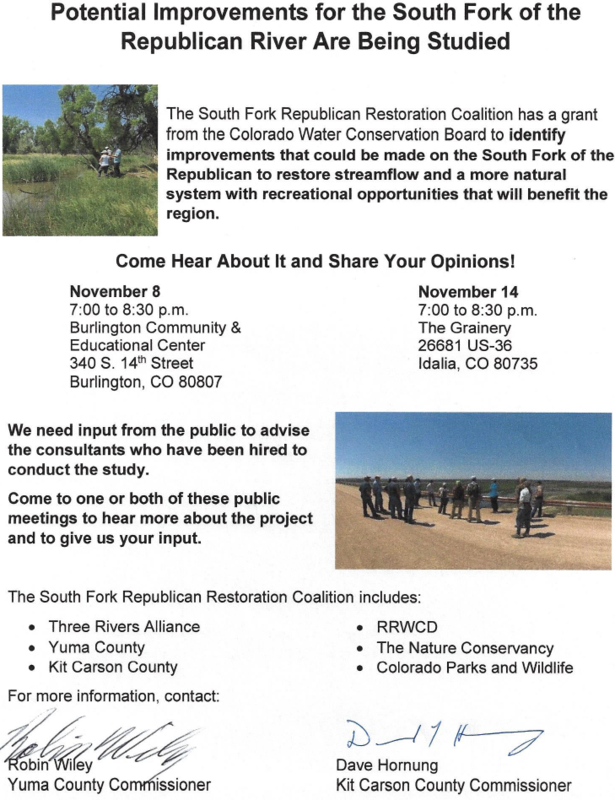 And they agree that the effort should start with a “voluntary, temporary and compensated” approach, with the goal of incentivizing irrigators to fallow fields and send the conserved water downriver to Lake Powell. But where they differ is the potential use of mandatory reductions in water use if voluntary measures are not enough to keep Glen Canyon Dam operating as usual. To Western Slope officials, “alternative measures” sounds like mandatory “anticipatory curtailment,” where water rights are cut back by the state to avoid a compact call. State officials continue to stress that the state is not developing a mandatory curtailment program and is only focusing on a voluntary program. However, the Colorado River District’s Mueller has been telling Western Slope water managers that the Front Range, which uses large amounts of water from the Colorado River, is eager for mandatory curtailment. But Jim Lochhead, the CEO of Denver Water and the president of the Front Range Water Council, on Friday rejected Mueller’s assertions that it was pushing for mandatory curtailment. Aspen Journalism collaborates with The Aspen Times and other Swift newspapers on coverage of rivers and water. The Times published this story on Monday, Oct. 29, 2018. The Glenwood Springs Post Independent also published it on Oct. 29. The Summit Daily News published the story in its print edition on Oct. 30.